I lean on my background in geospatial analysis as an integral part of my everyday job. After graduating from Horton, I attended Mount Allison University. I took the vocal performance program and an Environmental Studies minor. The credits for Environmental Studies included Rural and Small Town Planning and a few other planning-related courses, which I found really interesting. I attended COGS and enjoyed both the GIS and planning aspects of the program there. I spent my summer work term with the Eastern District Planning Commission in Port Hawkesbury, working on rectifying civic address mapping and producing maps in support of the planner, building officials, development officer and director. In 2004, I graduated from COGS, and I got a job working for Halifax Regional Municipality as a Development Technician. I evaluated permit and subdivision applications against the Land Use and Subdivision Bylaws. I helped people develop their land in accordance with the regulations. The job involved a lot of survey plan and map interpretation. I’m still working for HRM, now as a municipal planner. I’ve worked on all kinds of projects: heritage building alterations and registrations, municipal plan amendments, development agreements, subdivisions and development projects. I use aerial photo interpretation skills, and search our GIS maps for property data and planning information daily. 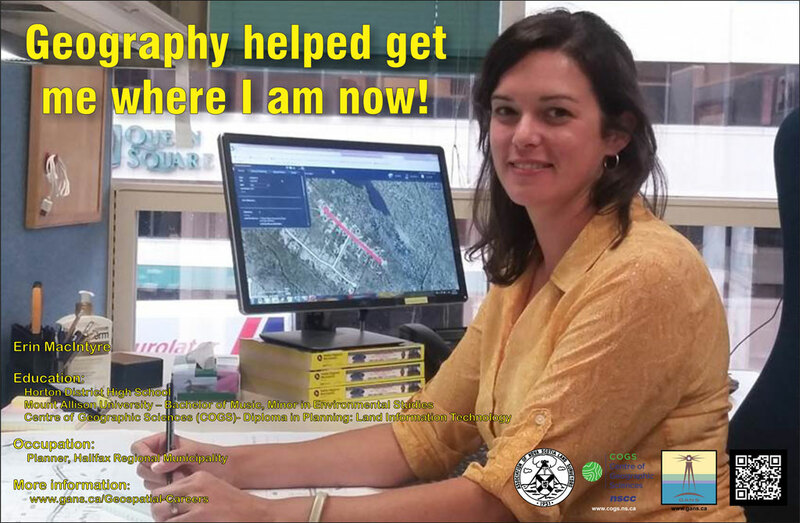 I lean on my background in geospatial analysis as an integral part of my everyday job.